The name Dean Devlin may not spring to mind as much as the director Roland Emmerich. It should as they have both worked together for over 20 years. This time it’s Dean’s time to take on teh role of director in his directorial debut. 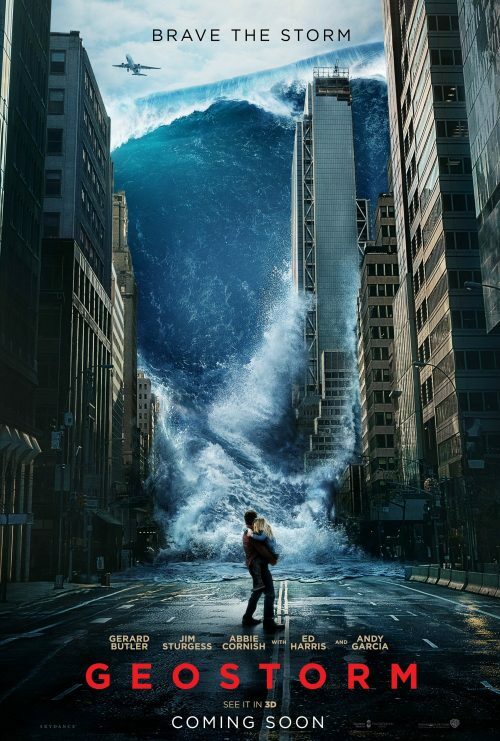 GEOSTORM. Yup, it is what you think it could be. A lot of CGI and technobabble. You can see all of that in the trailer. Now we have the doom-laden poster. Reminiscent of one of the posters for The Day After Tomorrow.